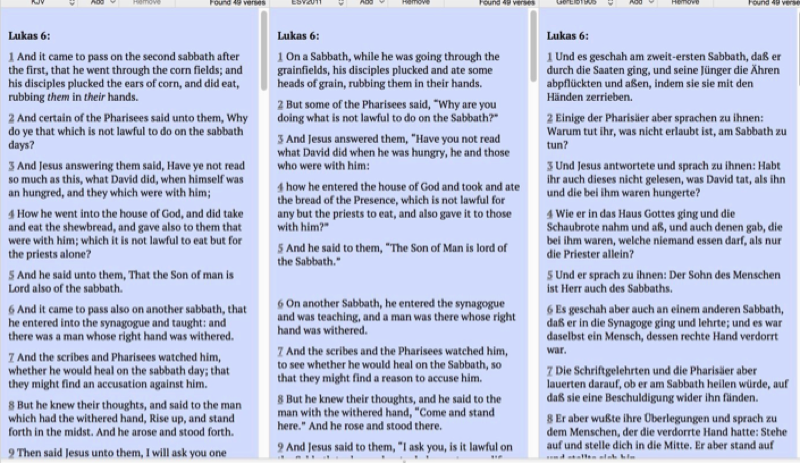 It is free bible study software including various translations (such as ESV, KJV but not NIV due to copyright issues). What is really great is the easy access to commentaries and dictionaries when you are reading any given verse. There is a wide variety of add-ons available (such as the dictionaries mentioned), and also lots of different languages supported. It is also simple to read different translations at the same time (up to 4). Unfortunately the Mac version, MacSword, is not as easy to use or intuitive, but is still worth a look if you don’t have anything at all. I have used E-sword with Windows mobile but I am now using iphone 2g. Does the macSword load on to an iphone 2g and how do you do it and where do you get the software. I have macsword and it pales in comparison to e-sword. its not worth the download. I am v happy to read your website page. thanks God Last 10 year’s i want to do good bible study. last year i couplet my bible cores. and i want to do more bible study be cos i leave in Muslim country and many Muslim do Q? with me from bible.